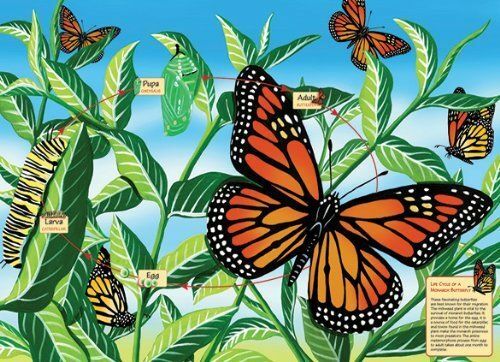 This wonderful 48-piece floor puzzle is a delightful way to learn about the lifecycle of a Monarch butterfly from egg to adult. Imagine the children inching around on the ground like a caterpillar as they put it together! When completed it measures 24" x 36" and it is a great activity for home or the classroom. The pieces are durable and thick so the puzzle can be assembled over and over again. 36 x 24 ins. 48 large pieces.